Home Election Day is today. 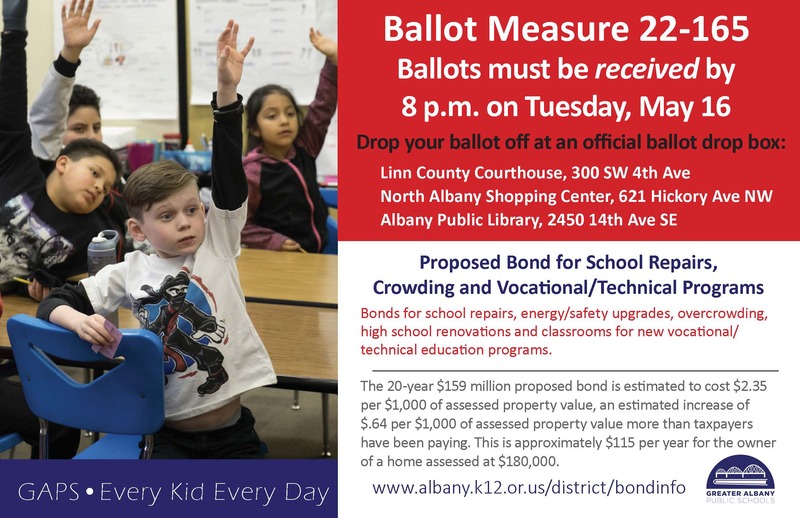 Ballots are due by 8 p.m.
Election Day is today. Ballots are due by 8 p.m. Tomorrow is Election Day. Cast your vote before the polls close at 8 p.m. 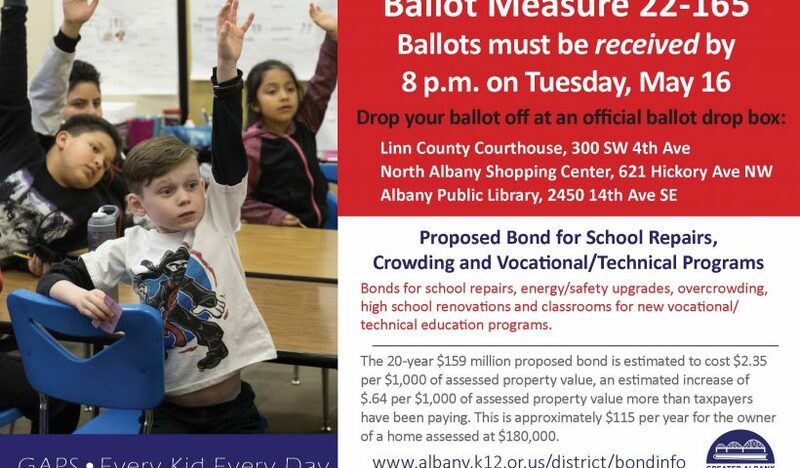 The District bond measure, Measure 22-165, and school board races will be decided. Ballots are due by 8 p.m. Official ballot drop boxes are at Linn County Courthouse, North Albany Shopping Center and Albany Public Library.